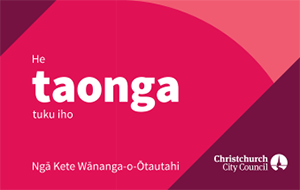 Explore Kete Christchurch, create topics, add images, documents, audio and video. Comment on existing material and connect your stories with others. A collection of searchable electronic reference books on the Treaty of Waitangi from leading thinkers on this foundational document. The largest online collection of national, regional, rural, and local news sources from across the North and South Islands. A rich resource for perspectives on major contentious social, political, and technological issues that are relevant to New Zealand and Australia. Use Australia / New Zealand Points of View Reference Centre now. Find out about Australia / New Zealand Points of View Reference Centre. A series of short books on serious public interest topics by great New Zealand writers. Details of interments from Christchurch City Council cemeteries compiled by the Greenspace Unit of the Christchurch City Council. CINCH, Community INformation CHristchurch contains information for around 6,000 organisations, course providers and individuals. A deep analysis of New Zealand's big issues, social, environmental and political. A comprehensive multimedia reference source for high school and tertiary students that searches across multiple eResources in a single search. A comprehensive index of New Zealand artist names that directs researchers to further information sources. findNZarticles provides access to New Zealand content, including material by or about New Zealanders, from a range of New Zealand newspapers and journals. An index of abstracts and descriptions of articles in New Zealand publications from the 1950's to the present in English, and from September 2007 in te reo Māori. Copies of issues of the New Zealand Gazette and related publications from 1841 to the present. Available in PDF format. Access this at any of our libraries. Sorry this product is currently unavailable. We are working on getting this eResource available again soon. Online information about New Zealand law concerning personal grievances, privacy, resource management, wills and transport and more from LexisNexis NZ. It also includes access to the New Zealand Law Journal. Access this at your libraries. Access to a broad collection of guidance notes, commentary, checklists, precedents, cases and legislation across five practice areas: criminal, employment, family, resource management, and trusts. Access this at our libraries. Note: Material contained in this resource is intended for informational purposes only. Over 1100 hand written minute book records between 1865 and 1910, from the Taitokerau, Waikato-Maniapoto, Tairawhiti, Waiariki, Aotea, Takitimu, and Waipounamu Māori Land Court Districts. Over 600 in-depth features about our country, natural history and culture. Also includes NZGeo TV which contains hundreds of hours of natural history video. Access major and authoritative New Zealand history and biography published by Bridget Williams Books. A collection of searchable indexes related to New Zealand science, industry, news, politics and fine arts. A sign language reference collection including accounts of the deaf experience. Natural history videos focused on New Zealand's people, places, wildlife and environment. Part of New Zealand Geographic Archive. Digitised New Zealand newspapers, periodicals, letters, diaries and parliamentary papers from 1839 to 1945. Coverage includes The Press from 1861 to December 1945. Te Kerēme is a selective index to the Ngāi Tahu claim. Te Puna is a web-based search service giving access to what is held in New Zealand libraries and worldwide. A collection of New Zealand women's history and publishing through a female lens.